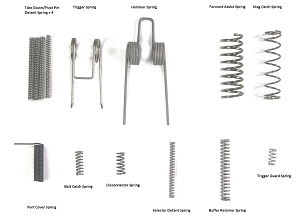 Take down / pivot pin detents (x4). 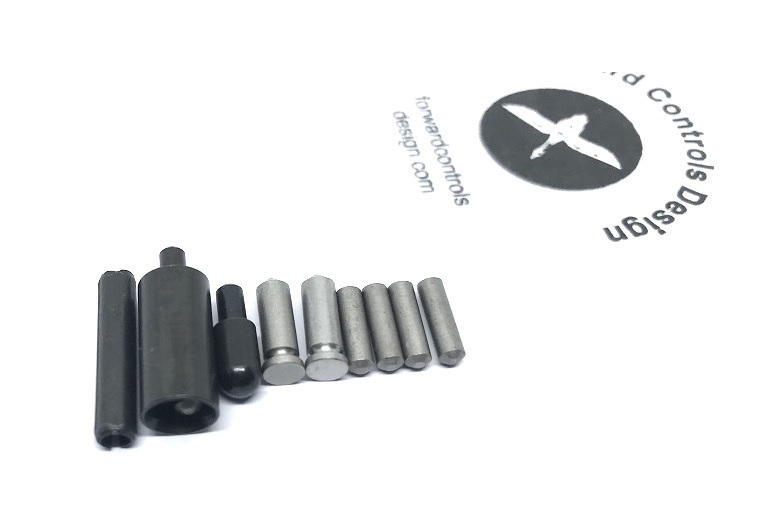 We've lost our share of these tiny spring loaded misiles, so we include extras ( it's cheaper than fitting a GPS on them). Coating of these detents may vary. Safety detent (x2). Safety detents should be considered wear items, so we include an extra. 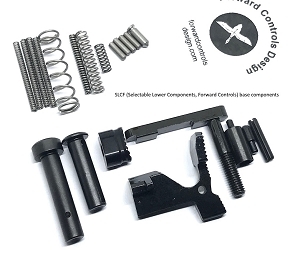 The TDP spec buffer retainer can be upgraded to RBF (Reinforced Buffer retainer, Forward Controls). 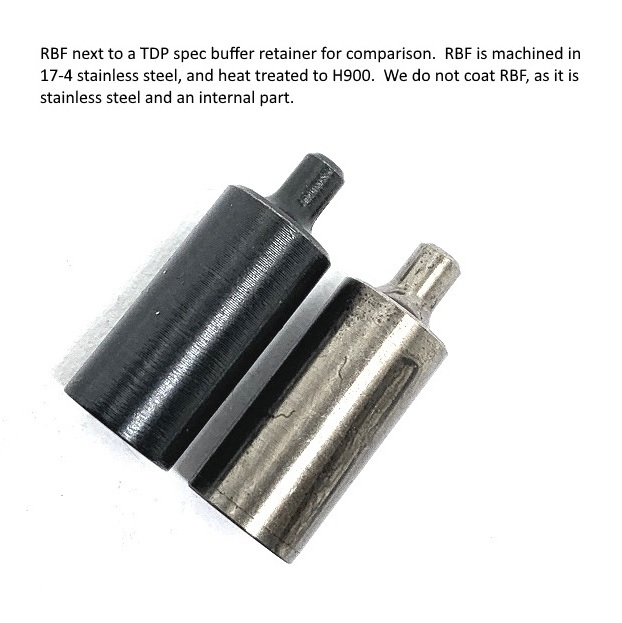 RBF is a billet machined 17-4 buffer retainer, heat treated to H900, with a 10% larger diameter tip.